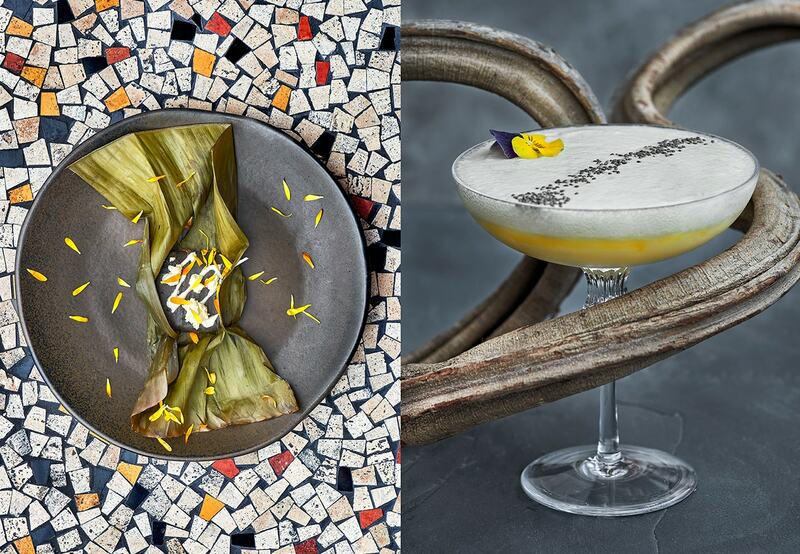 Dim Sum Sundays At Hakkasan | To Work Or PlayTo Work Or Play | A blog of two halves: Lifestyle guidance for city-savvy socialites, and insight, inspiration and opinion for ad-curious folk. We’ve done proper Summer, we’ve spun out the Indian Summer, I think it’s fair to say we’re going to have to accept that Autumn is here and that Winter is coming. So what do we replace Sunday picnics with? Dim Sum – Dim Sum Sundays to be precise. 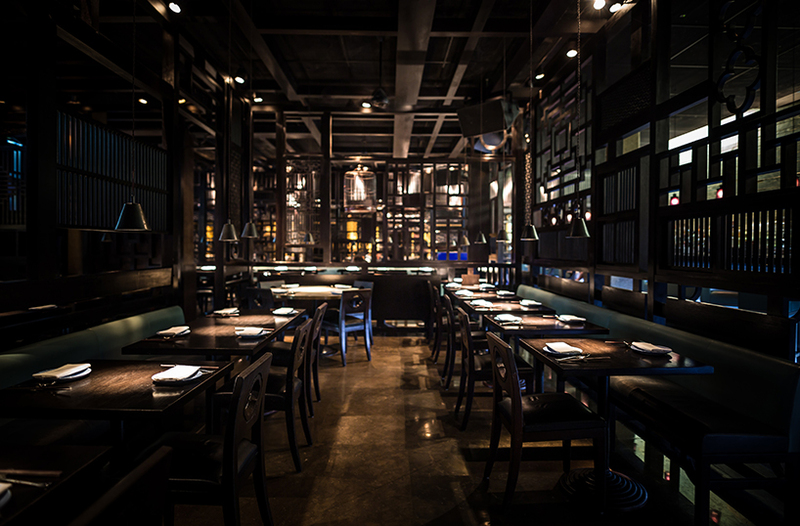 Here Emily reviews Hakkasan’s latest offering… chopsticks at the ready. Lazy days and long nights drenched in heat are on hold until sometime next June, and it’s all about food, drink and Sundays spent in beautiful (warm) surroundings. Thank god for Hakkasan Dim Sum Sundays. Yes, there’s a little haven awaiting you in Hanway Place- every Sunday from 12 – 6.45pm with all sorts of deliciousness. Brunch has been done to death and if you’re sick of avocado on toast or simply finished with scrambled eggs on sourdough, amp things up and suggest to friends that you meet for Dim Sum (and so much more). Who knew, Dim Sum means ‘touching the heart’? 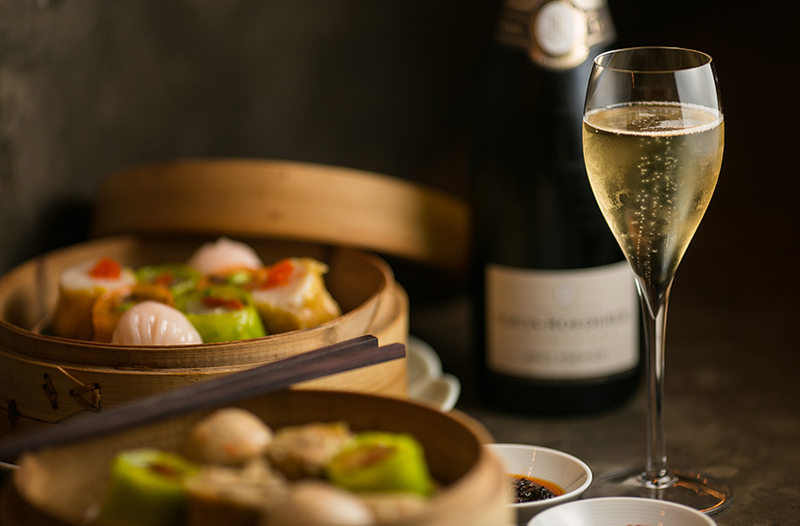 For £58 per person you’ll get a cocktail, the Signature Dim Sum Sunday menu and half a bottle of Louis Roederer Brut Premier NV Champagne. You won’t need to eat either before or after – the food is beyond substantial and verging on gluttonous, in the best possible way. The long sleek bar produces the most photogenic welcome cocktails imaginable and absolute favourites include the Fleur de Coco ( you can’t go wrong with Coconut Water, Raspberry, Vodka and Sake) as well as the Winter Sour (it’s got gingerbread and nutmeg!). Whatever you go for, it’s a great accompaniment as you scan the menu and your stomach grumbles. 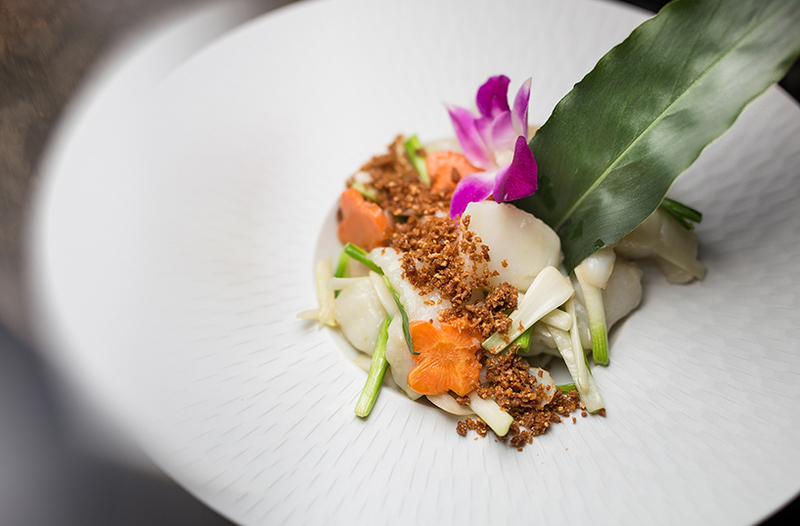 Always incorporating seasonal ingredients, Chef De Cuisine Goh Wee Boon has compiled a menu that highlights some of Hakkasan’s finest dishes. 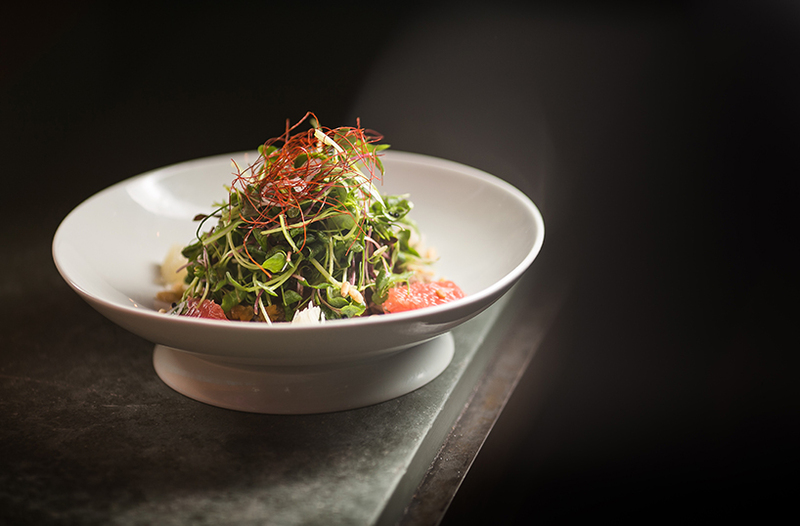 The Crispy Duck Salad sets the tone – tossed at the table it has pomelo, pine nuts and shallots, you’ll be drooling. 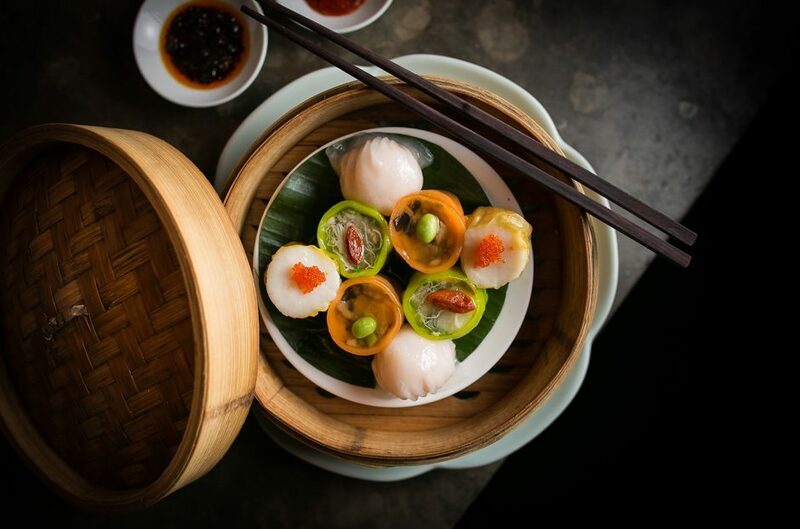 Obviously the Dim Sum are the main event and they won’t disappoint – classics like Har Gau as well as the Chinese Chive Dumpling, sit alongside amazing creations including Duck and Yam Bean Dumpling. They arrive with other treats such as the ever popular Baked Venison Puff and the Spicy Mooli and Crab Meat pastry. It’s hardly believable that you haven’t reached the ‘main’ course by this time, but rest assured waitresses (elegant, beautifully dressed, discretion personified) will arrive bearing either the beef or the fish alongside egg fried rice. It’s bliss to make so few decisions yet have so much to try. Nothing lets the side down here – not even desserts. In fact they’re like little works of art, including the stunning macaroons. Enjoy them with tea, a traditional accompaniment with Dim Sum meals in China – or keep on at the champagne, because really why not?! 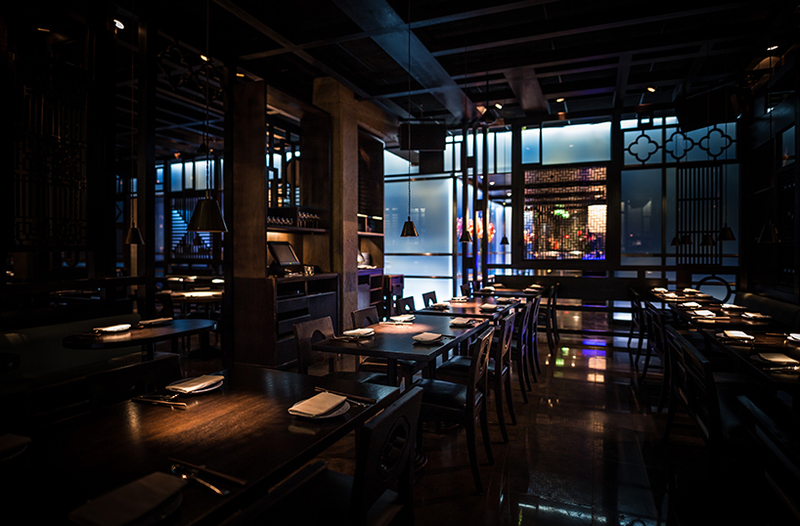 For more information and bookings visit the Hakkasan website here.